Twelve years after September 11th and the tens of thousands of subsequent jihadi attacks across the world, Al Qaeda is triumphant. "Al-Zawahiri is closer to his goal than he has ever been." I warned of this in my book, "The Post-American Presidency: The Obama Administration's War on America." What does Rich Benjamin have to say about Barack's "anti-Americanism" now? 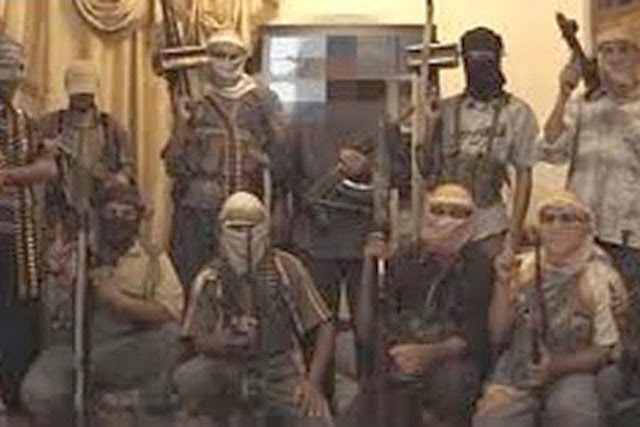 Al Qaeda is thriving in the Middle East and Africa. The spread of evil is the symptom of a vacuum. Whenever evil wins, it is only by default: by the moral failure of those who evade the fact that there can be no compromise on basic principles (Ayn Rand). And Obama has compromised on every basic principle of freedom and defense of liberty. That's why it has descended into chaos so far and so fast. 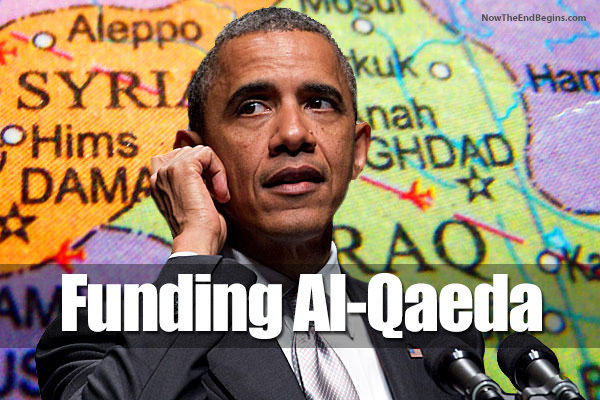 Obama say, "Al Qaeda is on the run!" “From around Aleppo in western Syria to small areas of Falluja in central Iraq, al Qaeda now controls territory that stretches more than 400 miles across the heart of the Middle East, according to English and Arab language news accounts as well as accounts on jihadist websites. Now al-Zawahiri is closer to his goal than he has ever been. On Friday al-Qaeda’s affiliate in Iraq seized control of parts of the city of Falluja and parts of the city of Ramadi, both of which are located in Iraq’s restive Anbar Province. ISIS is also operating in Syria, where it has established a presence in many areas of the Aleppo and Idlib Governorates in the northwest. In August, ISIS launched a propaganda series on video highlighting their activities in Syria, which includes interviews with fighters; the ‘graduation’ of a group of mujahedin ‘cubs’ (aged about 7 to 10 years old) from training, and sermons at local mosques preaching al Qaeda’s interpretation of Islam. The al-Nusra front has claimed to control parts of at least a dozen Syrian towns. Those include sections of the ancient city of the Aleppo in the northwest, where fighters have been filmed running a community fair and preaching al Qaeda’s values to crowds of children. The group has also released videos on jihadist websites claiming that it is providing services to the people of several towns in the governorate of Idlib, which borders the Aleppo Governorate to the west. Al Nusra claims that it is a quasi-government and service-provider in the towns of Binnish, Taum, and Saraqib. Al-Nusra fighters allied to al Qaeda function like a government in areas they control in Syria. The group provides daily deliveries of bread, free running water and electricity, a health clinic, and a strict justice system based on Sharia law in the eastern Syrian city of Ash Shaddadi, where it also took control of the city’s wheat silos and oil wells. In sum, al Qaeda affiliates now control much of northern and northwestern Syria as well as some parts of eastern Syria, as well as much of Anbar province, which is around a third of Iraqi territory.” Read more.